Mamma Angela has been cooking since she was a little girl. For her it’s a great passion she kindly shares. She makes our palate travel trough her cooking and typical traditional recipes from her region in Molise. 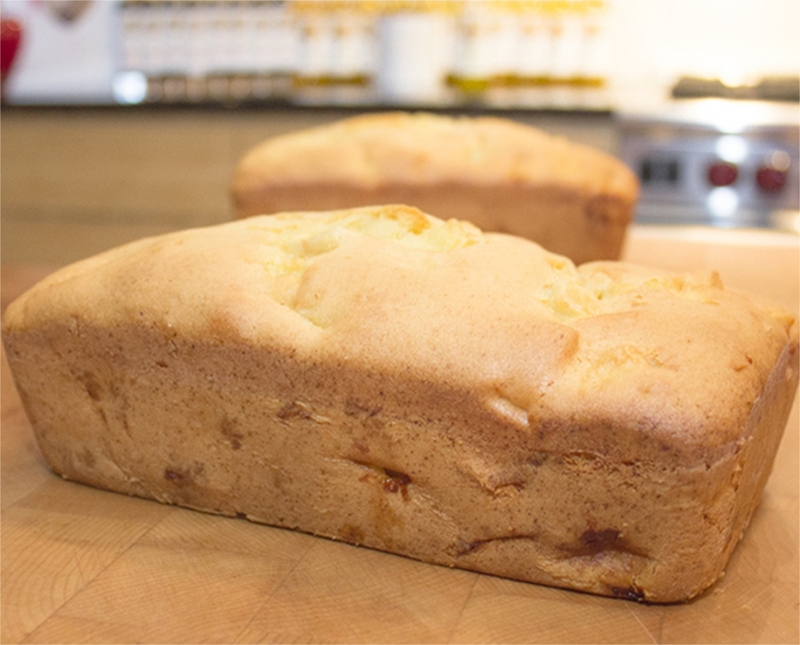 Today, she shares with us her famous spongy, delightful homemade apple cake. 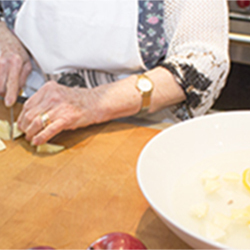 Peel and cut apples in &frac34; inches pieces, set aside in a bowl with cold water and lemons slices. Preheat oven at 350°F. 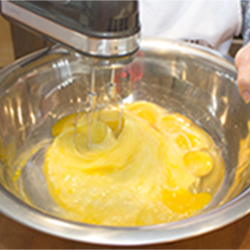 Butter and flour your moulds. 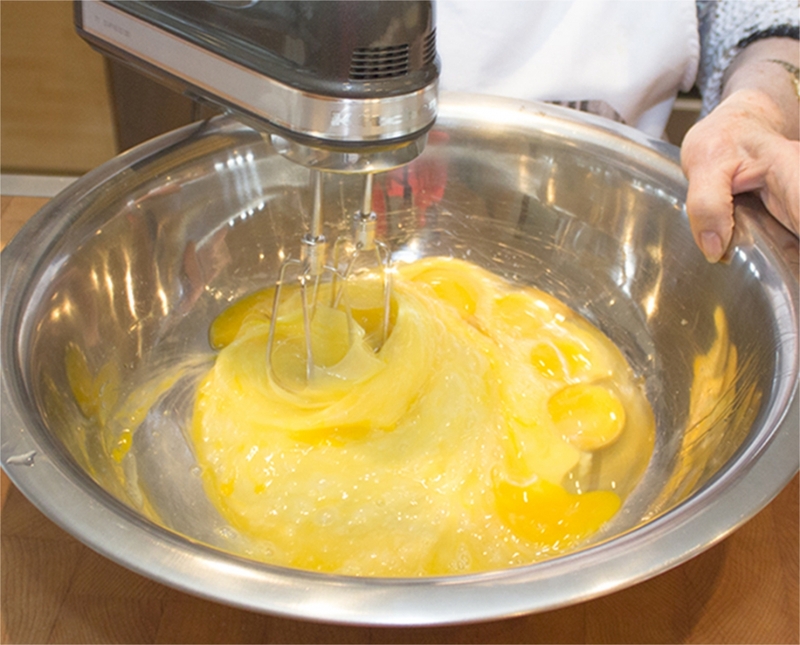 In a big bowl, break the eggs and beat with a mixer. Add sugar, oil. 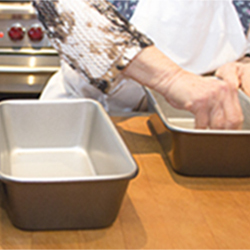 Gradually add flour, one cup at a time. Add drained apples and combine. 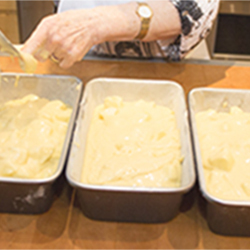 Fill your buttered and floured moulds. 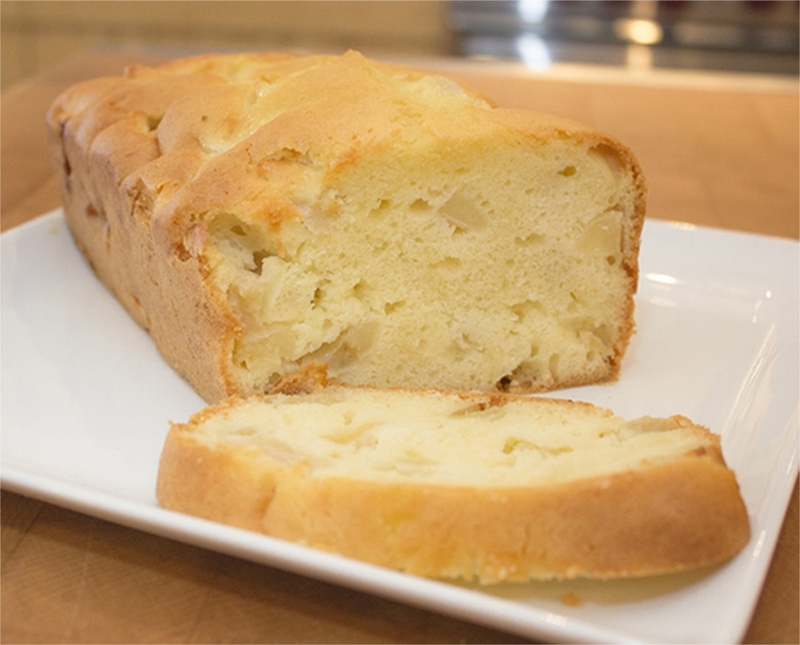 Leave about 1 inch, you cake will expand while cooking. Place in oven, cook for 1h to 1h10, depending on your oven. Verify cooking with toothpick. Remove from oven, let cool before unmoulded. Suggestion For a holiday flavour, add 2 pinches of cinnamon and the zests of 2 organic oranges. 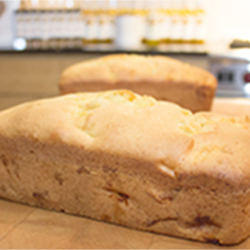 Idea Marble your cake with Balsamic vinegar. Substitute Replace apples by pears. 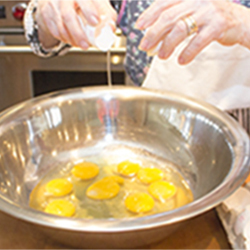 1 - Peel and cut apples in ¾ inches pieces, set aside in a bowl with cold water and lemons slices. 2 - Preheat oven at 350°F. 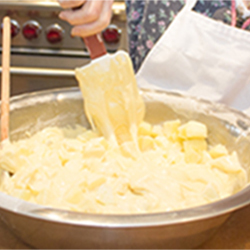 Butter and flour your moulds. 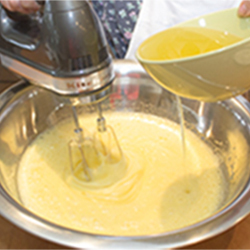 3 - In a big bowl, break the eggs. 4 - Beat with a mixer. 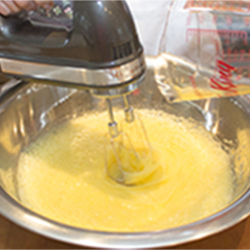 7 - Gradually add flour, one cup at a time. 8 - Add drained apples. 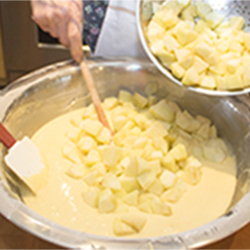 9 - Combine apples and mixture. 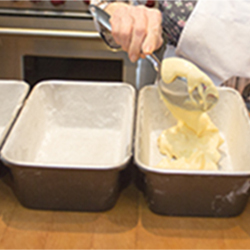 10 - Fill your buttered and floured moulds. 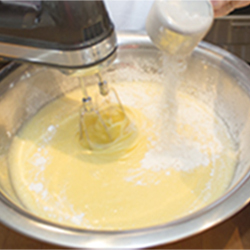 11 - Leave about 1 inch, you cake will expand while cooking. 12 - Place in oven, cook at 350°F for 1h to 1h10, depending on your oven. 13 - Verify cooking with toothpick. 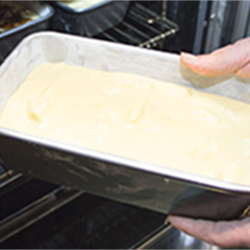 Remove from oven, let cool before unmoulded.